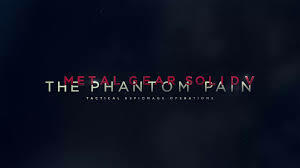 In The Phantom Pain, players take the role of Punished/Venom Snake (also known by his alias Big Boss) in a massive collection of open-world environments. The gameplay elements were largely unchanged from Ground Zeroes, meaning that players will have to sneak from several points in the game world, avoiding enemy guards, and remaining undetected. Included in Snake's repertoire are binoculars, maps, pistols, assault rifles and explosives. Following one of the series traditions, The Phantom Pain encourages players to progress through the game without killing, using non-lethal weapons such as tranquilizer darts to subdue enemies.